We are a small gardening team based in York, offering a friendly, personal and affordable approach to year-round garden maintenance and development. We are now in our 10th year of trading in York and the surrounding areas, providing year round garden maintenance, development and restoration.Over the last few years we have particularly enjoyed working on renovations of gardens that have either got out of control and need restoring, or have lost direction over the years and need a new approach. We now have several of these long term restoration projects underway at various stages of clearing, designing, landscaping and planting. We are always keen to take on new customers and projects and working together to create the outdoor space you envisage whilst keeping within your budget. Along with our paid work we are keen to get involved with local community projects especially in schools or after school clubs to encourage children and young adults in to growing their own plants in what ever space they have available. If you would like us to get involved with your project, please get in touch. 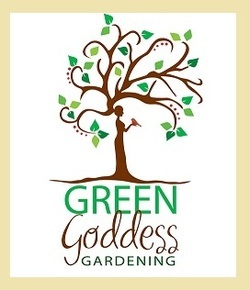 If you want to keep up to date with the latest from Green Goddess Gardening you can check out our facebook page from the links below. If you cant find what you are looking for on these pages, please don't hesitate to contact us to find out more.